A few weeks ago I scheduled a Vet. check for my gelding in preparation to hit the road this summer and get his travel paperwork updated. Because it was my first time going to a new clinic, I quickly mapped out the best (quickest) route for the 1 1/2 hour trip. I left that morning with plenty of time to spare, but it turns out that the fastest path between two points is NOT always a straight line. 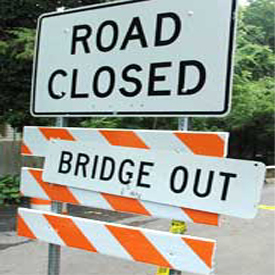 No, sometimes the fastest path is a major highway – something I’d wished I’d stuck to that day when I came upon a downed bridge on a narrow road with a 32 foot trailer. After getting out of the truck, and venturing down to the river bottom only to discover that the bridge workers didn’t speak a word of English, I got back behind the wheel with no other choice but to back up over a mile until I came to an approach wide enough and a field dry and flat enough to get turned around. Once I was moving forward however, something felt dramatically wrong. Either I had a flat tire or my truck (trick) driving and off-roading had caused some damage. I turned off in (what I thought was) a convenient pull-over area next to repair shop – only to realize it was indeed NOT a repair shop AND the exit path out of the small pull-over area was gaited shut. After calling the clinic to inform them I’d be late and confirming all systems were “go” (it was just mud in the undercarriage), I again slowly started maneuvering my way back out onto the road, and eventually forward toward my destination. 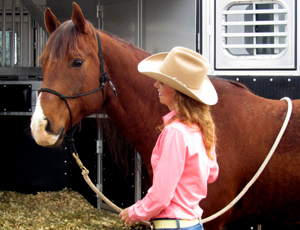 When I arrived at the clinic, my morning continued to unravel in much the same way when I pulled into the parking lot where there were already more than a dozen trailers crammed like sardines and one very frantic horse not so successfully attempting to be loaded. At this point, late or not, I couldn’t pass a stressed horse and a frustrated owner without helping them. A half hour and a more than a little sweat later, Pistol and I were finally waiting in the breeze way for a trot. Everything went really well on the way back home, until I realized I had completely forgotten to get blood drawn for a coggins, or have a health certificate written up – one of the primary reasons for the trip! With my travel plans drawing near and NO wiggle room in my schedule I didn’t know whether to scream, cry… or laugh! They say that “when it rains it pours,” but have YOU ever felt completely drenched, or even drowning? In the big scheme of things, the mishaps I experienced that long, hot morning were minor. I constantly remind myself “Don’t sweat the small stuff,” and trust me, it IS mostly small stuff. We ALL experience adversities – large and small, and they’re part of the barrel racing game especially, but how we handle them is what determines whether they make us bitter or better. Below are five specific ways I’ve learned over the years to handle challenges with grace and positive expectation. 1. One Man’s Poo is Another Man’s Fertilizer – It sounds so cliché, but it doesn’t matter so much WHAT happens to us, but HOW we perceive what happens – our attitude and mind set. When my husband lost his job in 2012, I immediately got excited for the new opportunities that laid before us. Of course, he was upset initially but my mind was programmed to see the good, to expect the best and embrace it. It was understandable that Craig was upset, but I didn’t see the “problem” that he did – not even for a second. INSTANTLY, I was thinking about the ADVENTURE waiting ahead. When your world seems to be falling apart, go ahead and ball your eyes out if necessary, but when the “poo” hits the fan, but don’t let yourself to get splattered by it for long. In EVERY single adversity, there IS a lesson AND a gift. If you can’t see them at first, it’s OK, but make it your goal to get busy looking! Actually ask yourself – how can this turn out for good? What can I learn here that will help me into the future? How can I use this experience to be a better person, and even use it to serve others? 2. Do your BEST, Turn Over and Trust the REST – The fact that the bridge was out that morning was something I couldn’t change. I also couldn’t change the fact that I would be late for my appointment. So I consciously chose to stay calm and s-l-o-w-l-y back my rig out of the mess I found myself in. Had I panicked or got frustrated, or worried about blocking the road, I may have made poor judgments and ended up in a much bigger mess. When my husband was laid off, we couldn’t change the reality that our world was no longer secure and reliable, the future was unknown but we made a conscious decision to make the best of it. An example of this, is that despite my writing prowess, I encouraged Craig to hire a professional resume writer and get professional photos done for his Linked-in profile. There are certain things we legitimately can’t control in life, but with a life-changing cross country move on the horizon, I knew we had to be intentional about what we DID have control over. I like to think we co-create our life with He who created us. Instead of stressing over every single detail as if we have absolute control over everything that happens, I’ve made a habit of releasing my control freak tendencies in exchange for peace. At the same time, I also OWN my responsibility to to my very best, then I simply turn over the rest and trust that God will fill in where I can’t and work on my behalf. 3. Practice Intense Gratitude – Inevitably, we’ll find ourselves in the aftermath of an extremely disappointing run – one where the competition was tough and the stakes were high, and we blew it. As a barrel racer, it’s not a matter of IF this will happen but WHEN. In this kind of situation, rather than think about what you just lost, think about what you just won! For example, the opportunity to haul home a healthy, awesome horse and the chance to try again next weekend. When you barely miss the mark, you STILL have the skill and experience that got you SO CLOSE. In 2001 my husband was 3/10th of a second away from becoming a USTRC World Champion header – 3/10ths away from pocketing another $19,000. His roping partner was almost in tears. Craig however, instantly acknowledged that a Reserve World Champion title was quite an accomplishment, and that he WAS $30,000 further ahead than he was just a few days before. He chose to see the positive. We can’t change the past, but we can always change our attitude. There is always something to be grateful for, IF you look for it. If you’ve having a hard time with this, you might remind yourself of stories like that of Amberley Snyder. You’re sure to receive a wake-up call and appreciate what you DO have real quickly. 4. Setbacks DO NOT Define You – The problem with competition, is that although participating in it is a great way to learn and grow as horsemen and individuals, competition also makes us susceptible to separation and judgment. 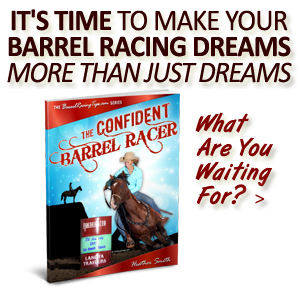 So often, we get caught up in chasing our barrel racing dreams for the wrong reasons – hoping that once we reach some never-ending finish line that we’ll somehow be worthy or “enough,” that we’ll be satisfied when we get there, that maybe we’ll finally FEEL good. The truth is, we are not our accomplishments, we are not what happens to us, we are not our mistakes, and we are not even our thoughts. Just because someone is a World Champion barrel racer, doesn’t make them a better person than anyone else. At the basic level, we are all the same – all worthy, and special and enough, not because of what we DO but who we ARE. It’s awesome to have lofty goals and pursue them with every fiber of your being, but it’s important to maintain separation between your worth and your results. What happens in the arena doesn’t define you as a person. When we personalize what happens to us, and attach ourselves to our circumstances, which are fleeting and temporary, we give our power away, we forget the truth, and we essentially climb on an unpleasant emotional roller coaster ride. No matter what kind of setback you experience, remember that it doesn’t determine who you are, or your future. Refuse to get on the self-worth roller coaster and keep your feet on solid ground with a firm emotional foundation. 5. 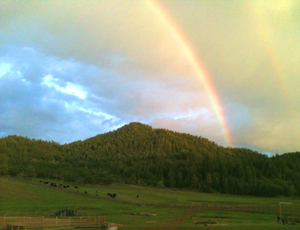 Do What you Can with What You Have – A while back a member of the BarrelRacingTips.com community wrote to me expressing her devastation after losing a one in a million barrel horse. She was understandably distraught and depressed – but she had lost sight of the gift of having such an amazing horse, one that many barrel racers will never know or experience in their lifetime. Even if their time together was cut short, the opportunity to know and experience athletic greatness in equine form is something to be eternally grateful for. Perhaps you have known great loss. 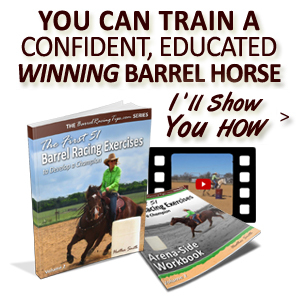 Perhaps so far you have only dreamed of owning such a horse, or maybe you lack the very basic necessities to make your barrel racing dreams come true that most horse people take for granted. Regardless of what it looks like on the outside, we ALL fight battles – internal and external. We all travel though stormy seasons of life. We all experience hardships and times in which we don’t feel equipped to do, be and have what we really want to do, be and have. But whether we DO, BE and HAVE what we want in life right now, doesn’t matter near as much as that we continue to show up, and bring our best effort – every single day. Even if all you have is a dink colt, or a rusty trailer, or your health or an important relationship is hanging on by a thread, or whether you’re fighting an internal battle – your job is simply to do the very best you can with what have, where you’re at. What’s critical is that we keep putting one foot in front of the other. When we stay true to our path and don’t give up, when we keep bringing our ALL, our outer circumstances will gradually align and improve, creating the structure and support to make our dreams possible. Do what you can in each moment, no matter how insignificant it may seem and you’re sure to turn any setback into a comeback! When I think about the setbacks I’ve experienced in my own life, I’m honestly overwhelmed with intense gratitude. Despite my circumstances, I had to think positive as if my life depended on it, because in a sense, it did at times. 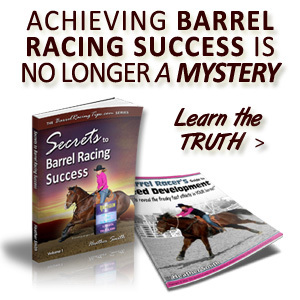 For me, hardships have been miraculous blessings in disguise that have ultimately formed a foundation in which I stand on to serve others – and I’m so happy to do that here at BarrelRacingTips.com. Ultimately, it’s a choice. A setback truly is a set up for a comeback! 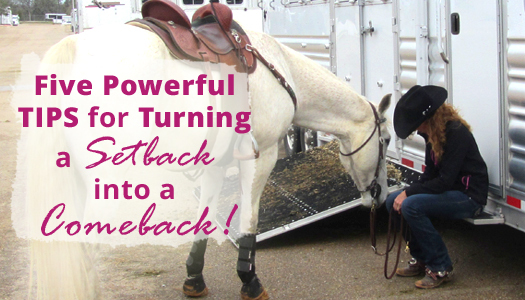 In the comments below, tell me what you’ve learned through turning YOUR setbacks into comebacks? 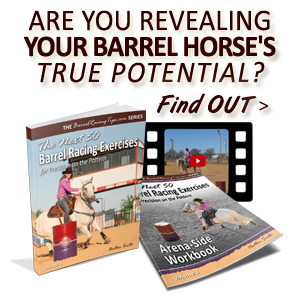 Also enjoy the resources below for even more encouragement and support on your barrel racing journey! 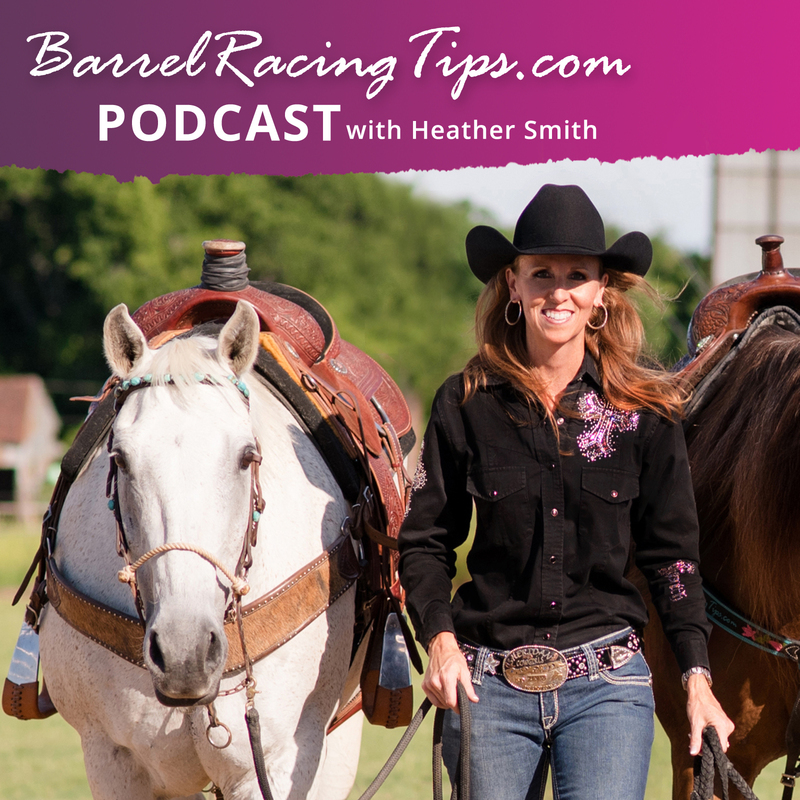 https://www.barrelracingtips.com/wp-content/uploads/2018/06/barrelracingtips.png 0 0 Heather Smith https://www.barrelracingtips.com/wp-content/uploads/2018/06/barrelracingtips.png Heather Smith2014-07-15 01:00:482018-09-08 23:55:37Five Powerful Tips for Turning a Setback into a Comeback! I just recently started receiving your emails from BarrelRacingtips.com and have thoroughly enjoyed reading them. This particular article struck a cord with me. I am second generation part owner of a small family business where I am constantly tested. And not just myself, but my entire family. We have had to learn that there is much in our life that is beyond our control and more often then not, things do not go exactly as we would wish. Our horses have been our salvation. They remind us that no matter how our day goes, we have unconditional love and support waiting for us in the barn. All we have to do is walk towards it. Our horses also remind my wife and I that even though we may have had a great day, where we think we can do no wrong, whether in our professional or personal life, it pays to be humble, to thank the Lord for what we have. Or we can find ourselves in the dust on our butts as our horses run back to the barn. Thank you Heather, I really needed to read this. 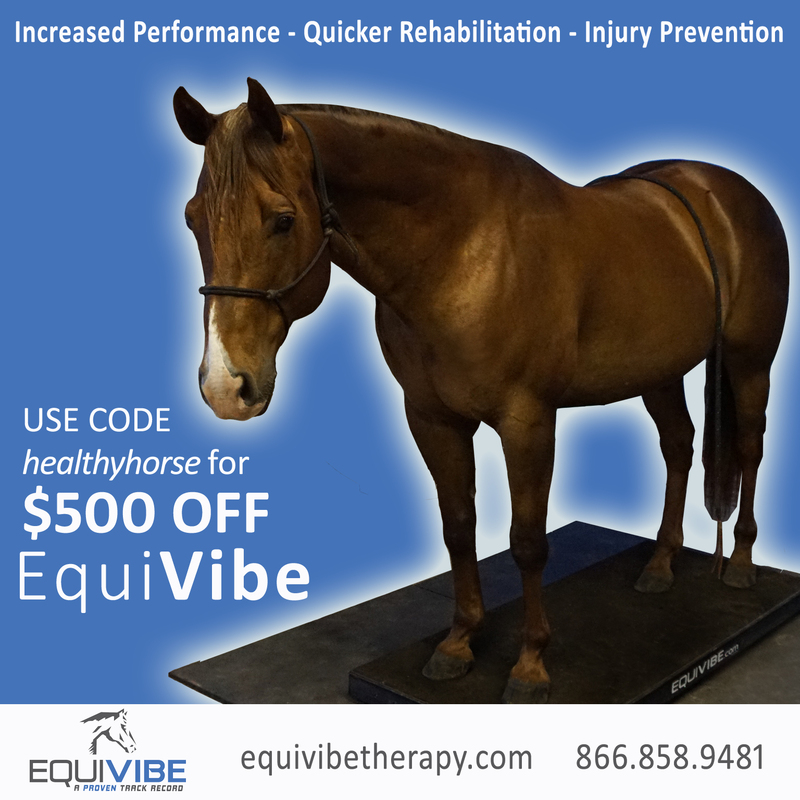 It’s been a tough set back with my horse since his injury. 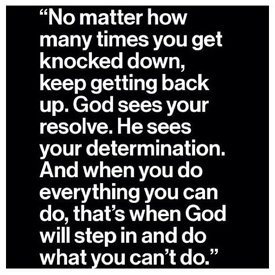 And this couldn’t have come at a better time, thanks for the encouragement! I’m so happy to hear this came to you with such good timing! It’s my pleasure to share. I bought copies of success and the 51 exercises when they came out. since then my husbands job change, has made it so there is no extra money to barrel race. Our NBHA district takes a break thru the summer, but there are always jackpots around that i usually go to. Instead of dwelling on not being able to afford to go run, i have been studying and applying that knowledge. So when the summer is over I plan on me and my horse being a whole lot better connected and winning some races. You got it Pat – one step at a time! You can’t always do everything but you can always do something! Keep up the great work. As always, your article is timely. I am still struggling with a groin injury after more than a year, which limits the amount of barrel racing I can do. It comes at a time when most of my horses are sore so they can’t make very many runs either. My gelding turned up lame suddenly during the winter and is probably permanently done. My stud is old and nearing retirement, and one of my mares is in even worse shape than he is. I am very fortunate to have an abundance of horses that we have raised over the years, so I am now concentrating on another mare that was off for several years but is now about as close to sound as a barrel horse can get, and a young gelding. Hopefully we will be ready for next year! Thanks for sharing Barb, soundness issues are so heartbreaking and it’s hard to know how far to take things and ask from them, etc. Sounds like you’re “Doing the best you can with what you have” – great job! I love this article! I just recently found out I am pregnant (not something I really wanted as I have a futurity colt to train and limited resources that I wanted to pour into said colt.) But my husband is happy, and I know that we can make it work and induct the new baby into our “rodeo team.” I am taking solace in the fact that: the colt is only in his 2nd year, so I have plenty of time to train him in the future, I have LOTS of people willing to help me train him and who want to babysit the baby while I ride, and that while on maternity leave I can use the “down” time to grow my own company and make some extra income. Having come from a not so stable childhood where I either was left to my own devices and expected to feed and care for myself, to not having a lot of financial resources…I have become pretty “scrappy,” like a coyote or a crow, lol. I have embraced this background rather than hating it, because from it I know that I can persevere under any circumstance. We can pinch pennies where needed or I can take on horses to ride after my regular job or my hubby can go do farm/fence work for people for extra income. This too shall pass. As always, thanks again for the great article! Congrats Nikki, you have a great attitude! I know what you mean about being “scrappy.” Although my past has contributed to some insecurities, I have also gained confidence from overcoming such great obstacles, like there is nothing I can’t do – the same is true for you! AS my own person motto. ” Live Towards Tomorrow. Learn through Today. A failure of yesterday Maybe be Success in a way. ” It is how you use the situation. This is a great article. Heather Thank You so very much for this! Again….your words are truly inspiring and very timely. Thank you soooo much for your willingness to be a “witness” with your life circumstances. It truly is a choice on how we handle adversity and hardships… things we assuredly will have to deal with in this life and Barrel Racing. We can “wallow” in our set-backs and temporary afflictions, and ride that roller-coaster or we can hold true to the firm foundation of Christ which never falters! Thank you so much my sister! My pleasure to share Scarlett! It’s not easy sometimes, but we sure don’t have to be a victim of our thoughts and emotions. The Big Guy upstairs has our back and when we remember that, any challenge becomes so much easier to navigate. Thanks for your comment! I’ve had a hard summer this year. My husband has left me, he has been diagnosed with Aspergers and I’ve lost my job. I am using these trials and setbacks to learn who I am, that I am worthy and and I can do it on my own. I’ve learned to be positive no matter what and trust God, trust He is working in my life and doing what I need for me right now. I feel like God is using these trial and hardships to put me back on my barrel racing path that I’ve wandered from. There is a reason this is happening. Love your attitude Sandra, He will provide for you. Whenever I feel overwhelmed or frustrated with something, I realize I have forgotten temporarily about His promises. Gradually I’m getting better about remembering, and in times like you’re experiencing now we’re left with no choice! Ultimately we grow closer in our relationship with God and learn a lot in the process. I know you will turn all of these hard times into something good – hang in there and I’ll keep you in my prayers! Heather, thanks for sharing your insights on the struggles we all face. Your inspiration helps everyone keep a healthy perspective. Keep up the good work and may God continue to bless and keep you.